In-form Market Rasen Town moved up to fifth in the Lincolnshire Football League with their fourth win in five games on Saturday. Town suffered a 5-1 defeat at Brigg Town Reserves in the Challenge Cup in midweek, but bounced back in the league to edge past Harrowby United Reserves 2-1 at Rase Park. 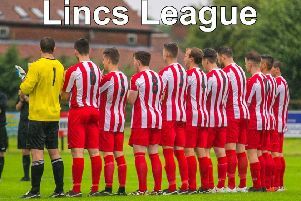 The win came hot on the heels of their terrific 3-2 win at league leaders Skegness Town the previous weekend, the only points the seasiders have dropped this term. Rasen travel to AFC Louth in the county cup on Saturday (ko 2.15pm) and then head to Sleaford Town Reserves in the league next Wednesday (7.45pm).